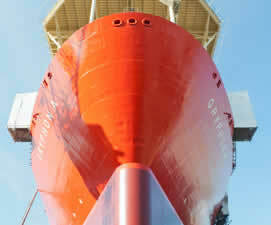 Den Breejen is your international partner in surface protection and paint work since 1952. We work to conserve a wide range of marine and industrial objects. Painting is a skill we have mastered to perfection. 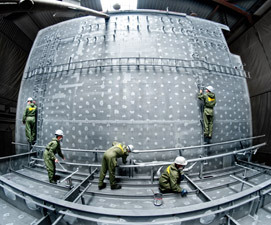 The craft is extremely complex, and combines established traditions with modern technology. 1955 Den Breejen accepts its first assignment at P. van Bennekum Shipyards in Sliedrecht (Deltawerf). 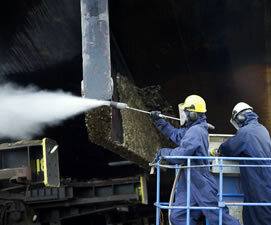 Conservation work is performed on small ships as well as on homes. 1960 Den Breejen experiences regional growth by working with local partners, including the Damen Brothers Shipyards Hardinxveld. 1967 Son John joins the Den Breejen company, two years after his brother Wim. 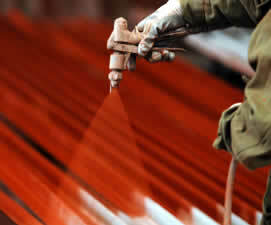 The number of painting specialists in the company increases to a total of seven.  1975 In 1975, Den Breejen starts as a subcontractor for Damen in Gorinchem where 20 Den Breejen painting specialists play an active role in the conservation of small ships. 1980 Wim and John den Breejen become co-owners of the company, which had been fully owned by their father, William den Breejen, up to that point. 1990 In 1990, the family’s second generation takes over the company’s helm in full. Soon after, Merwede Shipyard becomes a new client. 1994 The Rotterdam Sandblasting Company (RZB) is acquired by Den Breejen. This results in rapid growth of the company. 2001 – Den Breejen Zeeland performs work for the Royal Netherlands Navy at the Royal Schelde, Den Breejen Romania is established, and the third Den Breejen generation joins the company. 2008 Den Breejen opens a branch in Franeker. In addition, Den Breejen moves from the Rivierdijk to the new accommodation at the Sportlaan in Sliedrecht. 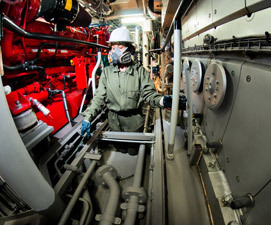 2011In 2011, the acquisition of the Kortenoord Group takes place. In the market, this company is primarily known as Hillers Vacuum Cleaning and Hillers Maintenance Services. 2012 National and international growth of Den Breejen continues at a steady pace. In addition to strong internal growth, the company also takes over Schildersbedrijf Midden-Nederland. Den Breejen is a service provider offering customised and comprehensive solutions. Please feel free to contact us with any questions or comments, or to request a quotation. 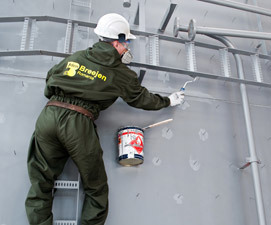 Den Breejen has been an international partner in surface protection and paintwork since 1952. 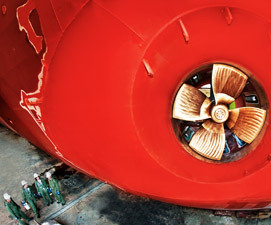 We work to preserve a wide range of marine and industrial objects.